John Middleton Smith (1830-1851) was the oldest son of Andover industrialist and passionate moralist and abolitionist John Smith and his wife Agnes Ferguson. 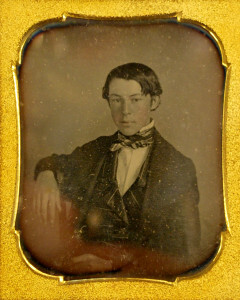 He graduated from Phillips Academy in 1849 and worked for a year as a clerk in the Boston office of foreign commission merchants A & C. Cunningham, before enrolling in Amherst College in the fall of 1850. He died at McLean Hospital in Somerville on January 8, 1851. His cause of death was listed as “insanity,” but the modern diagnosis would probably be some form of meningitis.